Smidig liten påse för smutsiga gDiapers, blöta kläder eller badkläder. Försluts med blixtlås och kan maskintvättas. ca 20*26cm. Dirty nappies don’t always happen at home. Sometimes they happen in the car. In a restaurant. At a friend’s house. And when they do, you’ll need a way to tote them home. 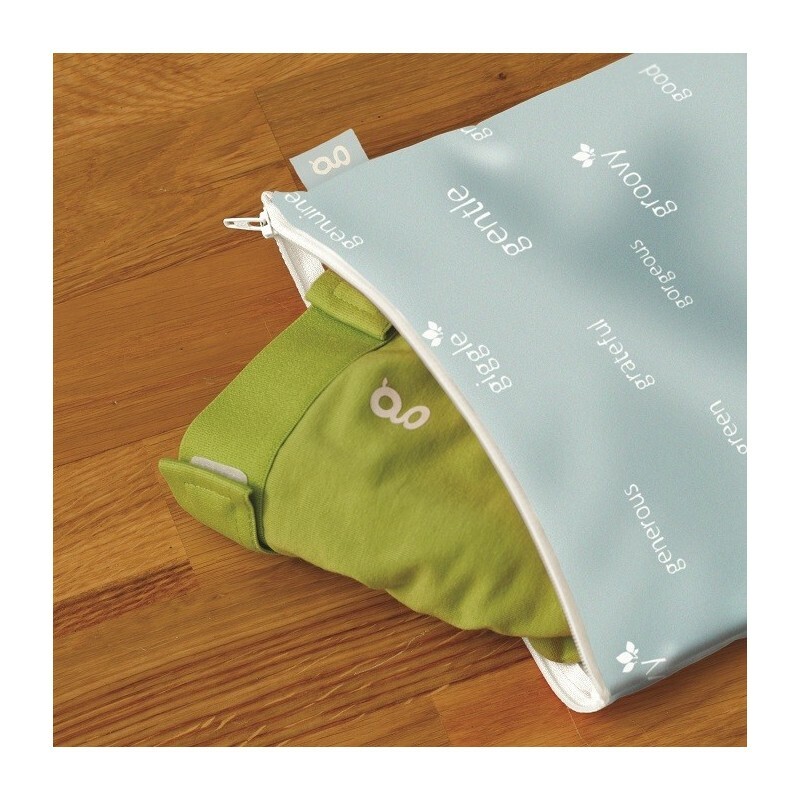 The gDiapers wash bag is waterproof, washable and compact, so it will fit nicely inside your bag. Use it for carrying nappies, wet clothes, or even swimsuits when you’re on the go. Machine washable.